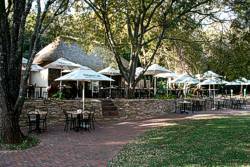 Milkplum Café Conference and Function venue is situated inside the Pretoria National Botanical Garden under beautiful, big shade trees. The green lawn and tranquil waterfall provide a perfect setting for visitors to relax and enjoy a meal. Coffee, traditional home bakes and light lunches are served during the week and buffets, braaivleisand potjiekos are served on weekends. 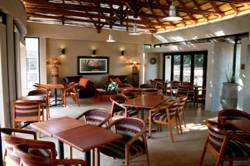 The Cougal Room can host up to 150 guests for functions, weddings and conferences. The smaller Weavers Room serves as a chapel, restaurant and dance area. Up to 100 guests can be served in the Coffee Shop. Weddings, small dinners, baby showers, theme evenings, product launches, wine and whiskey tasting and themed dinners and dances can be accommodated. Milkplum Café is open 7 days a week. Free entrance for functions after 18h00.